If you're going to be building visuals, elements, or controls in WPF, you will want this book on your shelf. Getting to the point where you understand enough of the WPF API and concepts to write a decent control, takes enough time ... this book will ease your journey! I found WPF Unleashed to be very UI-centric and WPF Control Development to be like the next step (very advanced GUI stuff). The huge WPF book on Apress is great for in-depth coverage on the topic, but the red books on Sams would probably be better for what you're looking to get out of them. The WPF Toolkit includes a Chart Control. Since the source code is also available, maybe you can take a look at it to get inspired. I haven't investigate it much but maybe what you seek is already implemented. 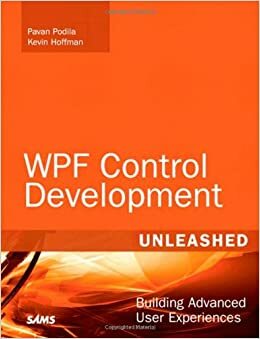 As for Custom Controls in WPF in general, I recommend you get a copy of WPF Control Development Unleashed. I'm about half way through it and I must say it is very good. It explains everything about creating your own controls and how to pick the class you should derive from. The author also explains when not to create your own control and does a great job of turning the most common WPF control like a Slider or a ListBox into a beautiful visual control that looks nothing like the original. For instance, he takes a ListBox and turns it into a radar screen showing boats and submarines correctly positioned, even the sweeping cone hasn't been omitted. I suspect that what you are trying to accomplish can be done using the same kind of trick.